A law recently passed by the Wyoming state legislature has caused considerable controversy and angered many environmentalists. It is officially designed to strengthen private property laws, although one of the consequences that cynics believe is intended is that it discourages individuals from gathering scientific data on their own by incurring strict penalties for any measure of trespassing onto private property. Violation of the law could lead to a year in jail, and a fine of up to $5,000. Also, the law requires that any state agencies in possession of data – and pictures are included in this definition of data – would need to destroy that data without delay. In effect, as explained by State Representative Marti Halverson, any person that trespasses in order to collect data is not merely trespassing, but is guilty of stealing data that belongs to the owner of the property. The law also dictates that collection of data on open state grounds would be illegal and subject to stiff penalties. Individuals wishing to collect data would need to get the permission of the landowner before gathering their data. It should be noted that large tracks of grassland and forest are often owned by ranchers, and public roads often run through these. In addition, many of these private landholdings are mixed with lands under the jurisdiction of the U.S. Forest Service or the Bureau of Land Management, which lease the land to ranchers for grazing. The news broke when Justin Pidot, assistant professor at the University of Denver Sturm College of Law, was concerned enough that he wrote an article for Slate, outlining what he saw as the paradoxes of the law, as well as the potential dangers. In effect, he argued, it outlawed citizen science, rendering it illegal for citizens to gather information about the health of the environment in Wyoming. Advocates of the law say it is mostly in the spirit of protecting private property, although detractors suggest that the main aim is to prevent honest debate about stronger environmental regulations. Many feel that this is a dangerous precedent, as it effectively criminalizes gathering scientific information on one’s own. Even if someone takes a picture or collects other data of an oil spill or some other environmental hazard within the state, and simply wants to inform the local citizenry, this law would render it illegal for them to post the information if those pictures or that data was taken on private property. ThinkProgress reported that a group of local ranchers sued Jonathan Ratner, the director of the Western Watersheds Project, essentially for trespassing while gathering data and using it to report that bacteria had contaminated water owned by the Bureau of Land Management. The implication was that ranchers were grazing too close to sources of water, and needed to maintain more of a distance for the health of the water. 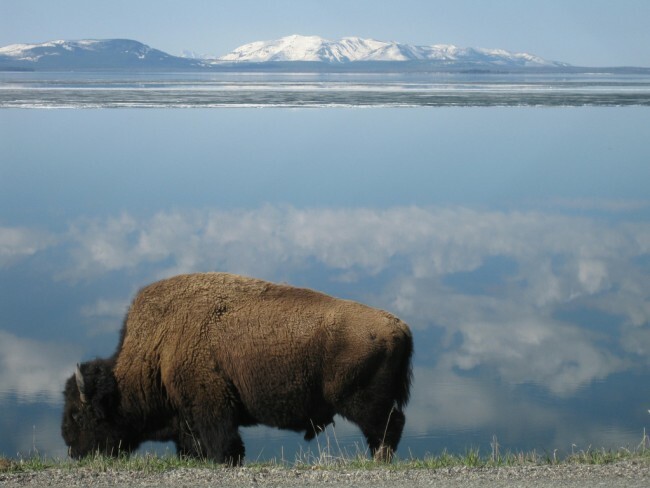 Some, such as Pidot, have suggested that a broad interpretation of the law could leave it open to the same restrictions on taking pictures applying to one of the seven National Parks within the borders of Wyoming, including Yellowstone and the Grand Tetons. This would be particularly true after park hours. However, Governor Matt Mead, the man who signed the bill into law, has been dismissive of such claims, and suggests the law simply strengthens already existing private property laws. The controversy continues, however. Pidot and other detractors of the law argue that many people would likely find this law disturbing, and he suggests that the true spirit of the law is clearly intended to stifle honest and informed debate about environmental issues within the state of Wyoming, as it emphasizes protecting ranchers grazing livestock at the expense of environmental concerns, rendering it more difficult for whistleblowers to gather and use information. Pidot suggests that by preventing this information from being obtained, let alone used, Wyoming is choosing to ignore existing problems altogether, and to pretend that no problems exist.